Michlitch Hunter Sausage Blend For Smoked Sausage. 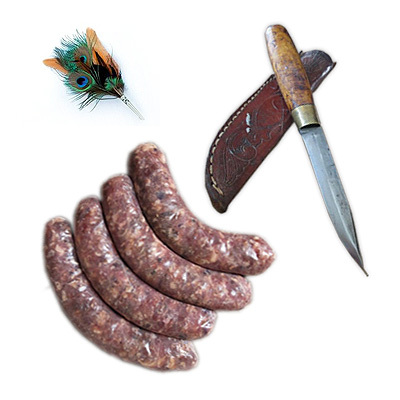 The same recipe as our Smoked Hunter Sausage only without the nitrite cure. This blend is designed to be packaged fresh and cooked later. Hunter Sausage is made with coarsely ground pork, then seasoned with this delicious mix of salt, red and black pepper, spices and a generous portion of garlic. WARNING! This product is the second hottest sausage blend that we make. It is not for the faint of heart!